This week I attended the launch party for Youngblood Cosmetics’ spring line at the beautiful Montage Hotel and Spa in Beverly Hills with my PR guru Jenn (Refine PR) and my sister Chantal who just happened to be in town. 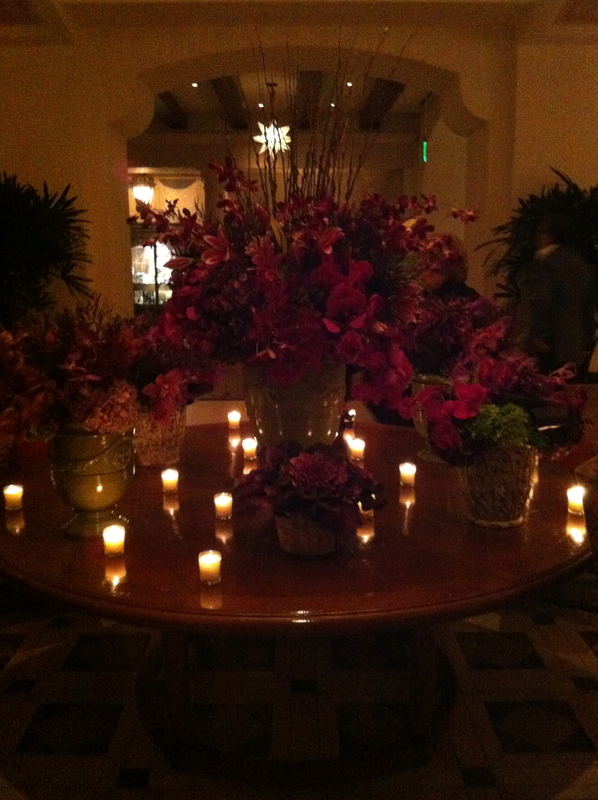 The floral arrangement in the lobby took my breath away! It smelled so amazing in there. YB’s head makeup artist and Director of Education, Phillip Luque, demonstrated all the cruelty-free and beautiful products that Youngblood will be releasing on March 1st, 2013. Tara Buck, actress from True Blood (she’s the human bartender from Fangtasia!) was his model. 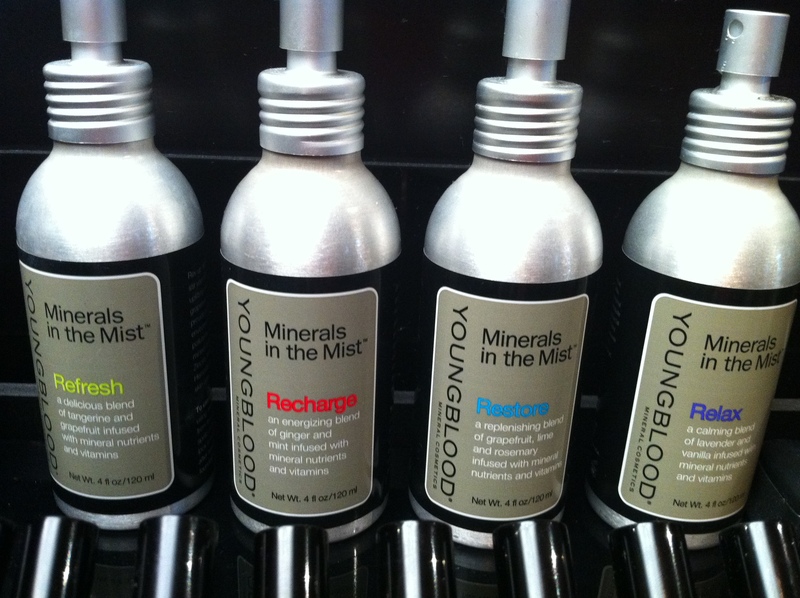 Phillip explained that the reason Youngblood Cosmetics is only sold in upscale medi-spas and skin care clinics (and online) is because the creator, Dr. Pauline Youngblood, wanted to keep the brand unique. YB Skin was first created in a medical setting, specifically for patients recovering from harsh medical procedures, and is now popular among makeup artists and their celebrity clients. I’ve had Youngblood products in my kit for the last couple of years and to be honest with you, my clients truly enjoy them. My personal faves are the Eye Impact Quick Recovery Cream (fabulous on mature skin and puffiness) and the Eye Illuminating Duo which I use on myself everyday. Okay, on to what everyone wants to see: the products! 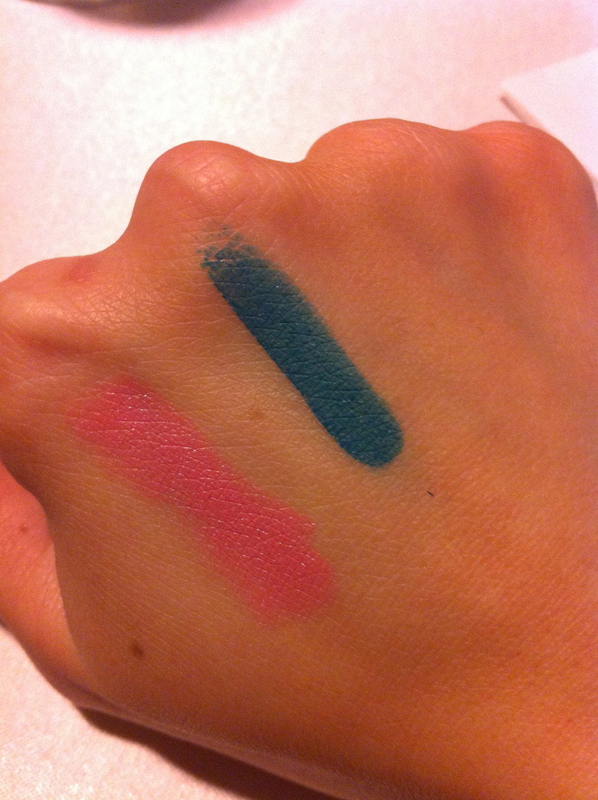 The spring line includes the Anti-Shine Mattifier, Minerals in the Mist in four scents, Incredible Wear Gel Liner in Lagoon, and a baby doll pink lipstick in Debalicious. Here’s some fun trivia on the lipstick name: everyday, a Youngblood employee named Debbie Axen would come to the office rocking a drug store-bought baby doll pink lipstick. She said she loved the color and that YB didn’t have anything close to it. When Pauline Youngblood, the creator, heard this, she designed this lipstick color especially for her! Can you imagine having a lipstick named after you? Lady C lipstick- I would buy it. Lucky girl, Deb! They weren’t kidding about the gorgeous teal gel liner that is Lagoon. This stuff didn’t come off my hand, even after I washed them twice with soap! Side note: to remove gel liners I recommend using oil-based removers. The Youngblood gel liners can also be used underneath eye shadows to intensify the look and make your makeup longer-wearing. Isn’t Debalicious the prettiest pink? It’s universal- it’s build-able and looks great on everyone. 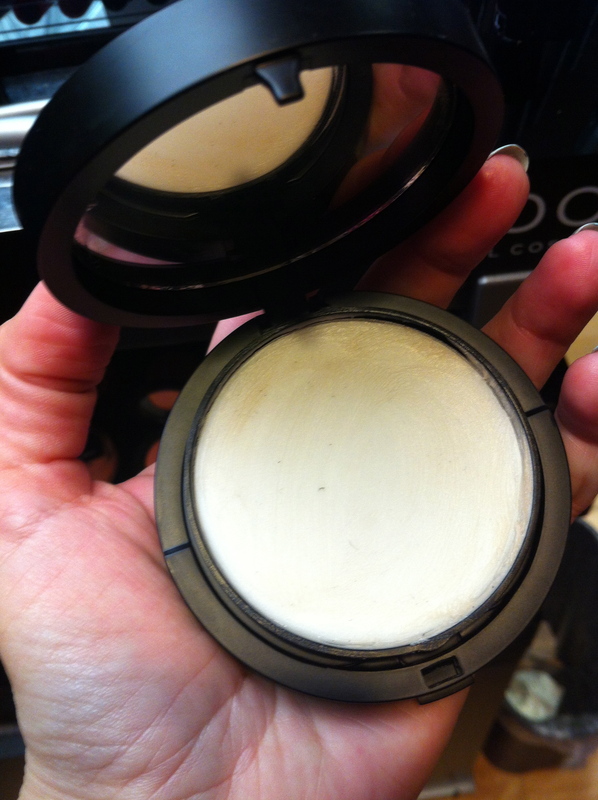 Next up is the Anti-Shine Mattifier, which you apply on your T-zone before makeup, just like a primer. I’m actually wearing it today. If you watch my Youtube channel, you know how much I complain about my oily skin and shiny face. It’s raining today so there’s extra humidity in the air and guess what: my face is completely dry, not a drop of oil. This multi-functional formula reduces surface shine and regulates your skin’s oil production. 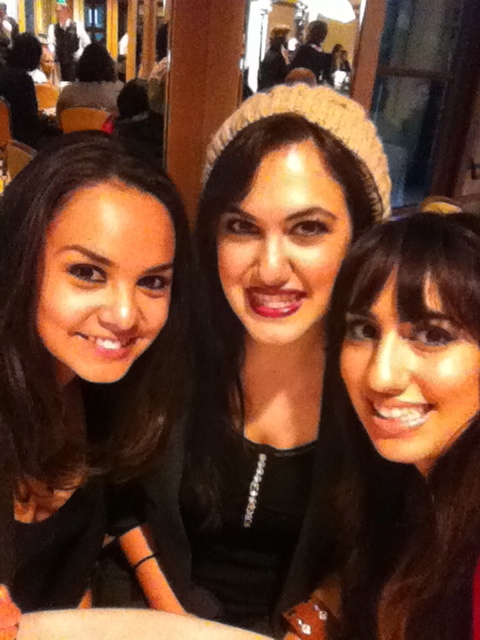 OILY FACES UNITE! It’s also wax-free. Here are my partners-in-crime for the day, Jennifer and Chantal. Guess who was also there? 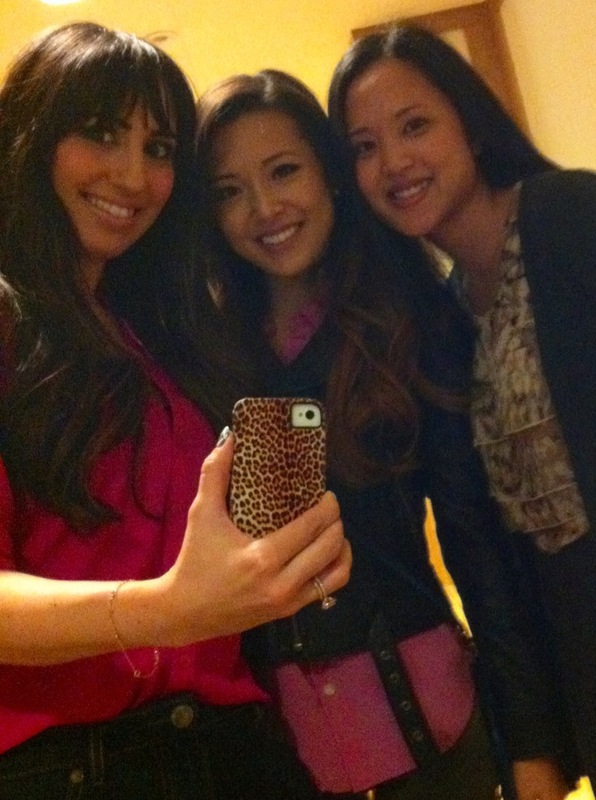 The Chae sisters, Linda (Makeup Talk) and Jen (FrmHeadToToe)! We chatted about our crazy experiences at the IMATS and cruelty-free makeup brushes, which we all are on the hunt for. They also taught me how to take a photo through a mirror, ha ha. I hope you guys find this review helpful, everything you see here will be up for grabs on March 1st, 2013. 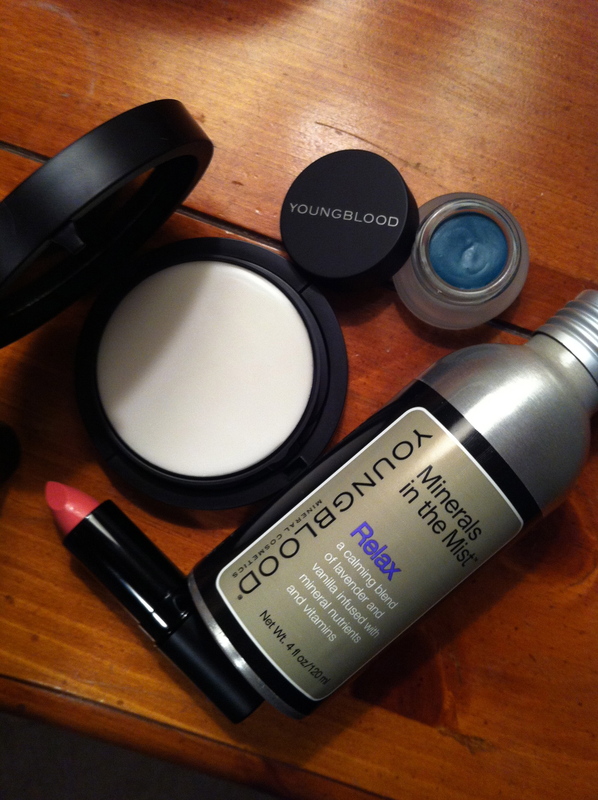 Youngblood Cosmetics: Cruelty-free beauty CAN be good quality too!